★Hooper, J. N. A., R. W. M. Van Soest and A. Pisera. 2011. Phylum Porifera Grant, 1826. Pages 13–18 in Z. Q. Zhang, ed. Animal biodiversity: an outline of higher-level classification and survey of taxonomic richness. Zootaxa, 3148. 近年の分子系統解析を総合すると，普通海綿綱と六放海綿綱は姉妹群関係にあるが，その単系統群と石灰海綿綱，これまで普通海綿綱の１亜鋼とされた同骨海綿亜鋼（Homoscleromorpha)との3グループの類縁関係はまだ未解決のようである（Erpenbeck and Wörheide, 2007) . 「海綿動物におけるAntennapediaクラス遺伝子の進化（ネーチャー，和文要約）」 2014年10月30日 Nature 514, 7524 new! 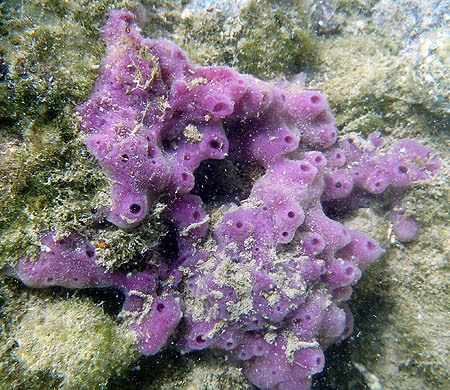 Erpenbeck, D. and G. Wörheide (2007) On the molecular phylogeny of sponges (Porifera). Zootaxa, 1668: 107–126. Srivastava, M. et al. (2010) The Amphimedon queenslandica genome and the evolution of animal complexity. Nature, 466: 720–727. Brusca, R.C. and G.J. Brusca. (2003) Invertebrates, 2nd ed. Sinauer Associates, Inc., Publishers, 936 pp. Vacelet, J. and E. Duport. 2004. 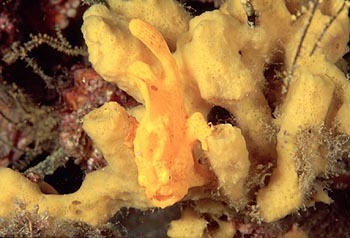 Prey capture and digestion in the carnivorous sponge Asbestopluma hypogea (Porifera: Demospongiae). Zoomorphology, 123: 179–190.